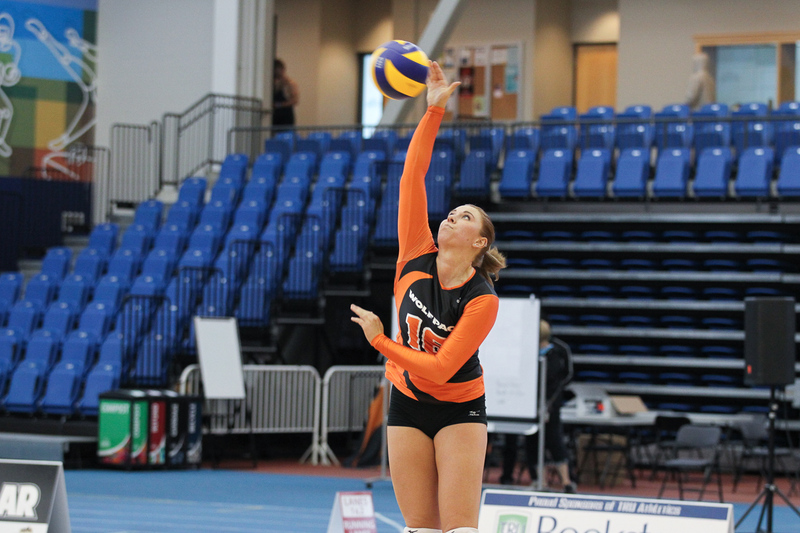 The WolfPack women’s volleyball team improved by leaps and bounds last season and are hoping that the upward trajectory they started last year will continue throughout the 2015-16 CIS season. A tough opening matchup saw the WolfPack travel to Edmonton this past weekend where they dropped the first two games of thire season to the University of Alberta Pandas. Falling three sets to one on Friday night before losing in straight sets the following night is surely not how Head Coach Chad Grimm wanted the season to start, but for a program that has been through some tough times it is important to keep things in perspective. After failing to win a single match in the two years prior to the 2014-15 season, TRU rose up the Canada West conference standings last year, finishing in ninth place and registering ten wins in Grimm’s first season in charge. “We just got back to playing again, enjoying the game and not necessarily worrying about the numbers as much as the process of how we’re going to get better,” Grimm said on his team’s improvement. A major catalyst for TRU’s newfound success was the play of outside-hitter Iulia Pakhomenko, who, after transferring from Northwood University in Michigan, set not only the Canada West conference records of 38 points in a single-match, and a conference record of 13 serving aces, but also finished the year ranked second in the conference in kills per set, total kills and service aces per set. Volleyball is a sport that requires a whole team working together to be successful however, and Grimm pointed out that he thinks multiple players on the WolfPack last year had breakthrough seasons in 2014-15. Looking forward to this year, it is clear that the progress made by the WolfPack last season has earned them the respect of other teams in their conference. In a ranking done by Canada West that polled the Head Coaches of the conference on how strong they thought the teams looked entering this year, TRU found itself in the sixth spot, a position that would see the WolfPack through to the playoffs for just the second time in the program’s history if the prediction proves prophetic. A number of key players are all returning for the WolfPack this year and Brianne Rauch, Morgan Kolasa, Katie Woo, Alyssa Wolf and Krista Hogewoning are all players that Grimm feels the team will rely on for leadership both on and off the court. A deep core of veteran players is something that fourth-year setter Katie Woo feels makes this version of the WolfPack stronger than ones in the past. “Every year with Chad [Grimm] the team has gotten better. This is by far the oldest group I have ever played with, which has not always been the case for our program,” she said. 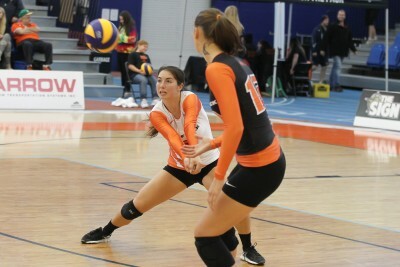 Targeting veteran players was a key recruiting tactic for Grimm as TRU pulled in multiple college transfers who already had experience playing high-level volleyball. So while the season may have gotten off on the wrong foot for the WolfPack, this is a team that has the experience and ability to grow on the improvements of last year and turn the 2015-16 season into something special.